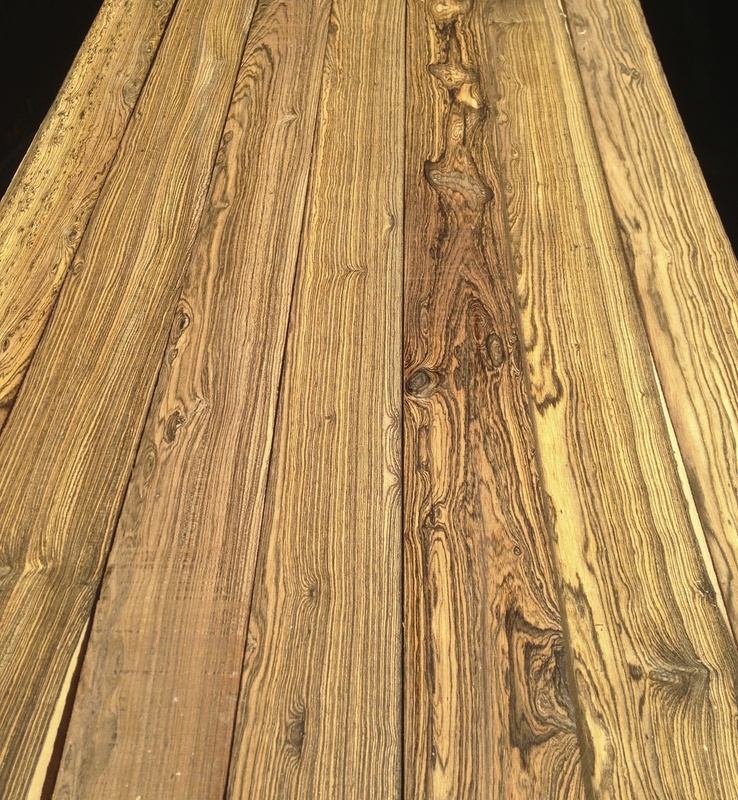 Bocote (Cordia spp) is made up of several closely related timbers that are found along the West Coast of Mexico. It ranges from a modest shrub to a medium sized tree, and is fairly common in it's native range. In favorable areas, when it is flowering it may appear that it makes up half the vegetation. With its striking zebra-like contrasts, and bold figuring, Bocote can be a very eye-catching wood. It is hard and heavy, but machines well. The oil content in this wood requires care in gluing and finishing.